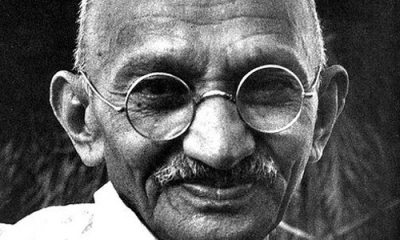 Gandhi was very strict about his views on punishment as a means of correcting or reforming a child. With regards to punishment Gandhi said “that punishment does not purify, if anything, it hardens children.” He felt that by the process of holistic education, a child will understand what is right and follow the path of righteousness and hence punishment will not be necessary. Mahatma Gandhi’s love for children is well-known and children lovingly referred to him as “Bapuji” making him the “Father of the Nation”. Hence he had very noble views on how to impart education to the children to whom he was very close. Gandhi respected the natural curiosity in a child and felt that it was this curiosity that led to true learning. This fact is evident in his statement when he says “Persistent questioning and healthy inquisitiveness are the first requisite for acquiring learning of any kind.” For Gandhi, the fact that a child is curious to know and to gain knowledge or is in search of knowledge is by itself a learning process as the child goes through various experiences in that search. Gandhi never really encouraged text book learning but said that education should be such that it encourages the learner to live a good and healthy mind, body and soul. mahatma Gandhi ji was really a model for ever and all.His life was like a book for all to learn anything of your choice.